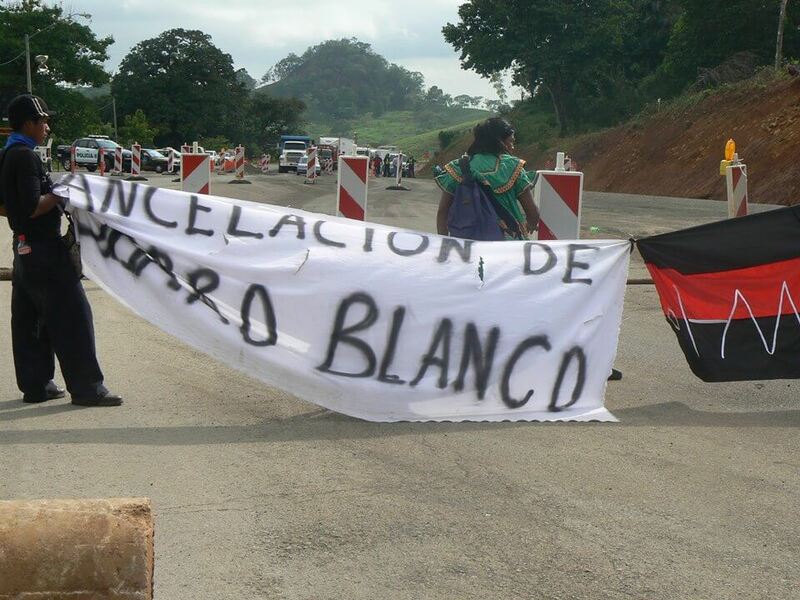 President Varela of Panama dispatched the riot squad to Tolé yesterday, June 18, in a move intended to intimidate activists protesting against the Barro Blanco hydroelectric dam on the Tabasará River. 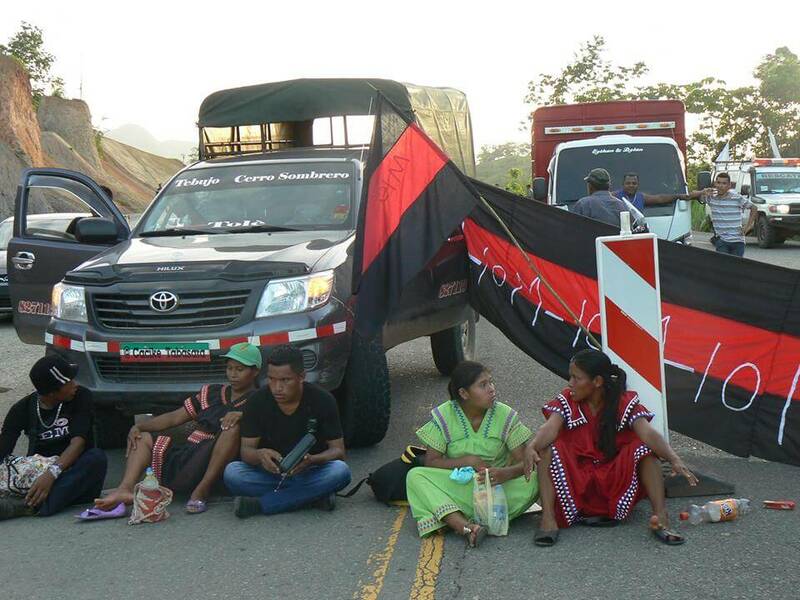 Since Monday, June 15, the ’22 September Movement’ and the ’10 April Movement’ (M10) have been periodically closing the Interamerican highway for no more than two hours at a time, in addition to continuously blocking the entrance to the project to prevent workers from entering. 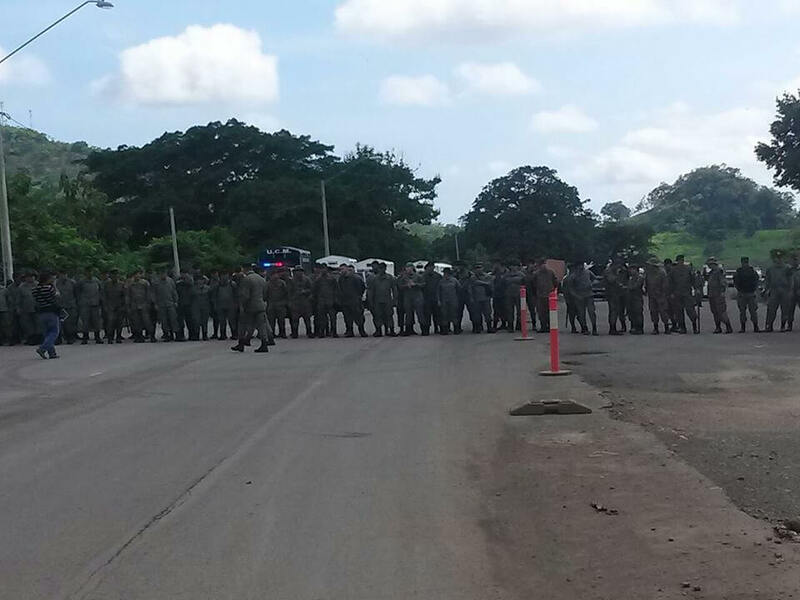 The influx of state troopers coincided with the arrival of the governor of Chiriquí province, Hugo Méndez, with whom the protesters have been in dialogue. The display of brute force by the Panamanian state is sure to dredge uncomfortable memories of the reviled Martinelli administration which governed Panama from 2010 to 2014. Martinelli’s periodic crackdowns on organized protests left hundreds injured, and between historic clashes at Changuinola, Tolé, San Félix, and Colón, around a dozen dead. President Varela, who has thus far sought to promote a ‘nice guy’ image, has been largely indecisive on the issue of Barro Blanco. Currently he errs on the side of the dam’s owner, Generadora del Istmo (GENISA). However, his decision to flex muscle yesterday arrives at a particularly unfortunate moment for GENISA, coinciding with the high profile arrest of one of the company’s directors, Shukri Kafie, who is accused of participating in the embezzlement of US$60 million from the state of Honduras. DIMESA, a Kafie family business, is alleged to have sold medical supplies and services to the Honduran Social Security Institute (IHSS) at massively inflated prices. The scandal involves numerous businesspeople and dozens of top officials accused of receiving kickbacks – the total cost to the institute is said to be around US$200 million. Set to rock Honduras in coming weeks, the unfolding events form part of a wider corruption crisis shaking Central America. In Guatemala, a tax and customs fraud is driving unrest and recently forced the Vice-President to resign. In Panama, former President Ricardo Martinelli – now on the run in the United States – is being investigated for shady dealings during his time in office. Secrecy laws in Panama are designed to protect the anonymity of business owners, but the public registry lists several Kafies on the board of GENISA: Luis Kafie (President), Luis Jose Kafie (Treasurer and Director), Shukri Kafie (Director), Eduardo Kafie (Director), Eduardo Kafie Atala (Director), and Christoper Kafie (Director). In Honduras, the Kafies are widely alleged to have been one of a dozen or so families who backed the 2009 coup – an event which ousted the democratically elected president and ushered in a new era of death squads, murder, and state-sponsored thuggery. Shukri Kafie denies any part in the current corruption scandal, but the United States has taken the allegation very seriously, stripping him and many others of their visas. The Barro Blanco hydroelectric dam is set to inundate indigenous Ngäbe villages, scores of productive plots, cultural centres and archaeological sites. It will eliminate precious fish stocks, thereby depriving riparian communities of essential protein. What’s more, the impacted communities have never provided their free, prior and informed consent. From the outset, GENISA has conducted its affairs in an underhanded and unlawful manner, repeatedly and willfully misrepresenting Barro Blanco to both national and international stakeholders, particularly with regards to its social and environmental impacts, in order to receive funding, carbon credits, and state consent. Scores of technical investigators, NGOs, and even Panama’s environment agency, ANAM, have challenged GENISA’s environmental impact assessment as being fundamentally flawed. 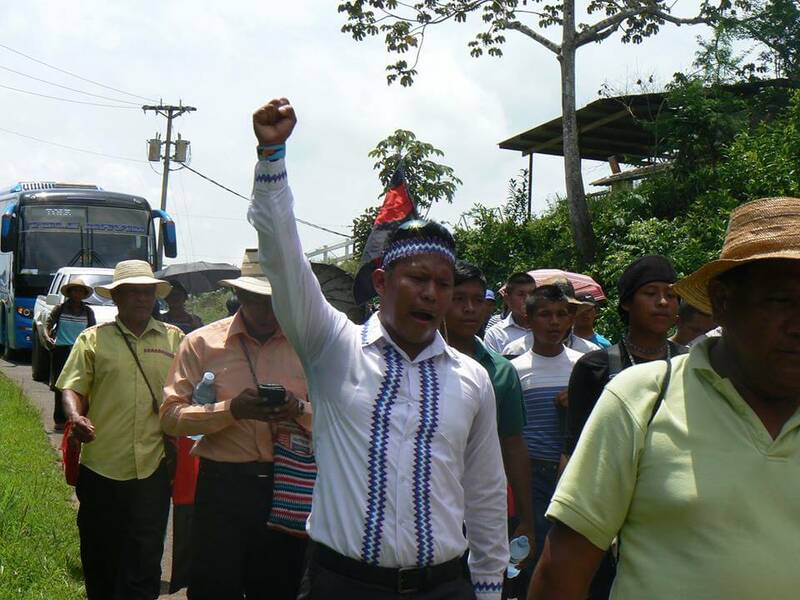 The UN Special Rapporteur for Indigenous Peoples (2008-2014), James Anaya, upon visiting the affected area, remarked with sadness how Barro Blanco was emblematic of the adverse impacts of development on Panama’s Indigenous Peoples. Finally, the dam’s backers – the German Investment Corporation (DEG) and the Dutch Development Bank (FMO) – were recently found by their independent complaints mechanism to have absolutely failed their own due diligence tests: by all sane accounts, Barro Blanco is socially and environmentally unsound. Yet, there does not appear to be any justice for the Tabasará communities. The project’s financers, rather than withdraw their funding and enshrine the principles of sustainability they claim to espouse, prefer to take food out of the mouths of Panama’s most marginalized people. The government of Panama, rather than sending a clear message to aggressive international developers who have no respect for the law, for the environment, for basic human rights, or for Panama, would prefer to bow to the dollar, lest the nation appear ‘closed for business’. When it comes to the repression of Panama’s Indigenous Peoples, President Varela now appears to be on the same track as Martinelli; nevertheless, there is time yet for him to fully embrace his nice guy image by choosing human decency over private profit.